The season finale got off to a very strong start when the legendary Walter Koster asked one of his trademark long questions in the FIA Drivers’ Press Conference, leaving us all warm and fuzzy inside. Speaking of warm and fuzzy feelings, how good was it to see this message from Niki Lauda as he continues his recovery from a double lung transplant. Will we see him again in Australia? You try stopping him. Abu Dhabi marked the end of a lot of things in Formula 1, including the end of Sebastian Vettel and Kimi Raikkonen partnership. Vettel was certainly savouring every moment back in Thursday’s press conference. Kimi: "Look after him so he doesn‘t start crying." Not all of Christian Horner’s jokes go down well, do they, Toto? And Horner could not, of course, resist another little dig at Cyril Abiteboul before Red Bull and Renault headed their separate ways. And things got very tetchy between BBC’s Andrew Benson and Ferrari boss Maurizio Arrivabene. We think it’s 1-0 Maurizio after this little exchange. Kimi shared a lovely moment with his long-time Ferrari press officer, Stefania Bocchi, in the paddock. But the sadness was cancelled out by what we have to look forward to next season, which includes a Formula 1 grid with Robert Kubicas as part of it. Kubica got a big welcome back from all corners of the Formula 1 world, but none were better than Mark Webber who gave him the most Aussie response ever. “Is Robert older than me?” Hamilton cheekily asked in the FIA Drivers’ Press Conference. “Perfect! So I’m happy he’s coming back because Fernando’s leaving and I was going to be second oldest, but now I’m third oldest again. 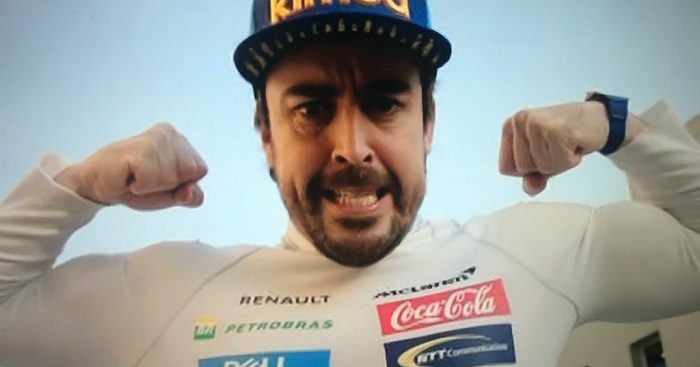 Don’t know about you, but we reckon Fernando Alonso is ready to leave Formula 1. 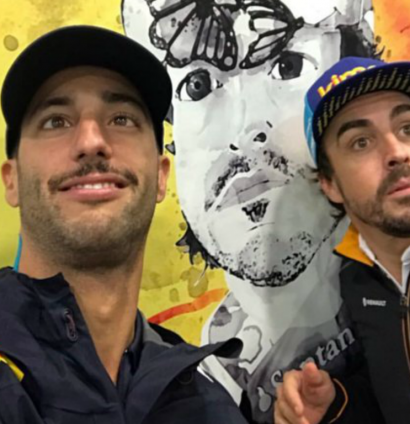 He was only going to go out in the most Fernando Alonso way possible. But he truly saved his best until last with one final f*** you of a performance in the race itself. He cut the same corner three times in a row when trying to haul himself into a points finish, racking up 15 seconds’ worth of penalties and points on his superlicence. Kimi was at it again down the long, long straight in Abu Dhabi. He does what he wants, ok? The newly-installed sausage kerbs at Turn 20 evoked memories of Tony Hawk’s Pro Skater 2. Vettel: "Do I have time for a quick pee?" And, even though there was a lot of Will Smith to get through, this was very, very good. It’s another last image. How could it be anything else other than three World Champions with 11 trophies between them doing donuts.